Summer is nearly here, and we all dream of that soft, supple and healthy glowing skin. However, forget moisturisers, endless list of beauty creams and the must-have skin care products of the season – just grab your old spices from the cupboard and have a go at making home-made face masks to give your skin an extra glowing shine this sunshine season! Raw honey has tons of health benefits including antibacterial agents that heal skin conditions, allergies and wounds. 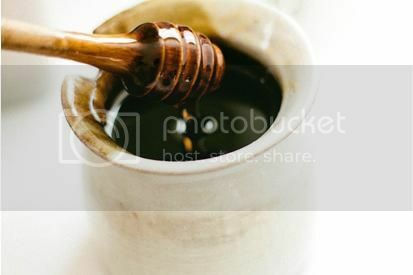 Honey has also been said to be an all-natural alternative for acne treatments, due to its skin purifying qualities and soothing ability towards inflamed skin cells. This great and simple-to-make cinnamon, honey and nutmeg mask has plenty of benefits to offer your skin and give it a healthy and yummy shine in a few easy steps! Although raw honey isn’t necessarily a spice, when added with antiseptic cinnamon and skin-smoothing nutmeg; it offers 3-in-1 skin nourishment in a revitalising face mask that cannot be beat! Go on, get your spices out now and give this easy face mask a go! It’s that easy! And your skin will be left feeling soothed, revitalised and fresh for the summer season! You can also eat any of the mixture leftovers if you have a sweet tooth for honey and nutmeg. Here at Shop Spicy, we are proud to be one of the leading stockists of a wide range of all Indian spices, flavours and an array of spice options from around the world. To view our full range of tantalising flavours please view our website or feel free to get in contact with our friendly and helpful team on 0161 339 4744 today!